As a European scientist living in the US, the words “Theory of Evolution” and “America” have always struck me as being like two magnets of the same polarity – no matter how hard you push, you cannot bring them together. Randall Fuller’s new historical work, The Book That Changed America, made me rethink this. Fuller brings to life how Charles Darwin’s ground-breaking On the Origin of Species crashed into the intellectual and scientific spheres of 1860’s America. Like a meteorite from outer space, Darwin’s book hit a nation on the brink of civil war. The resulting impact ran straight through the social and scientific discussions at the time, many of which centered around questions of slavery, race and religion. Darwin’s Origin, by introducing the concept of natural selection, argued that different species are linked by a common ancestry. This idea was readily embraced by American anti-slavery activists to counter the claim that African American slaves represented an inferior race. Only later did it dawn on these progressives that Darwin’s ideas also made God, as a creator, obsolete. Fuller therefore calls Origin a “Trojan Horse” that started the fierce battle between supporters of creationism and supporters of evolution that we are still witnessing today. Fuller tells this rich story by following the initial curiosity, enthusiasm and doubts of five prominent American intellectuals as they struggle to deal with Darwin’s revolutionary ideas. Fuller, author of the prize-winning American Civil War book, From Battlefields Rising, immediately captures our attention by recreating a momentous dinner party in Concord, Massachusetts, where we meet the book’s illustrious main cast. It was January 1st, 1860, and Darwin’s Origin had been published a few months earlier. Fuller describes how his main characters gather at a New Year’s meal hosted by reformer Franklin Benjamin Sanborn. The copy of Origin they are eagerly inspecting is brought by the philanthropist Charles Loring Brace, father of today’s foster care system, who received it from the famous botanist and Harvard professor Asa Gray. The other three men bending over the book, “their eyes lit with superb possibility,” are the essayist and philosopher Henry David Thoreau, the teacher and philosopher Amos Bronson Alcott (father of Louisa May Alcott) and Sanborn. Together they are among the leading lights of the American intelligentsia at the time and central figures of the transcendentalist movement, an indigenous school of American philosophy that extolled the virtues of nature and individual self-reliance. All are passionate abolitionists, but each will interpret Darwin’s ideas according to his own beliefs and values. Focusing only on this handful of Concord and Cambridge intellectuals allows Fuller to weave their anecdotes into a historic account that is always humanizing, frequently entertaining, and often insightful. 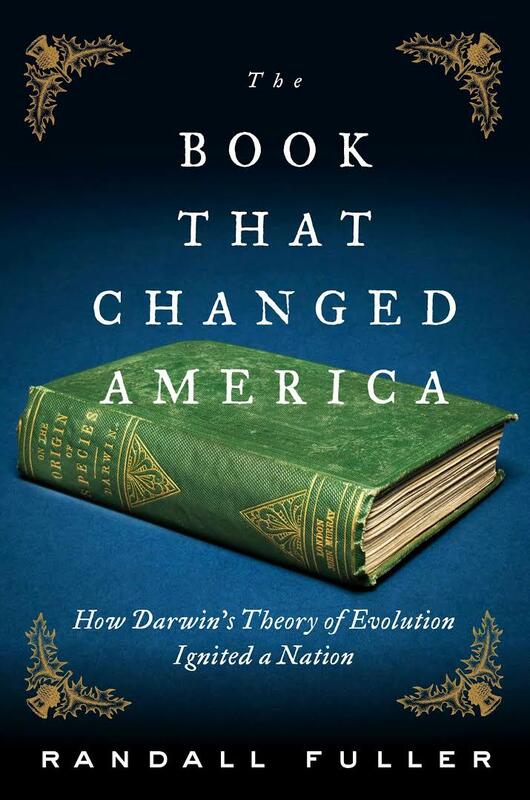 However, while hinting at the profound impact of Darwin’s ideas on American society, he hardly goes beyond dissecting the influence on these individuals, a slight limitation of the book’s scope. In an interview with The Book Club Babble, Fuller explains that for him, researching a historic character feels like “getting to know a friend.” Every page of his book is infused with this friendly intimacy not only with the main characters but also with their own voices as recorded in letters, diaries, and even notes scribbled in the margins of books. In an almost affectionate way, Fuller observes that Brace’s annotations in a copy of Darwin’s Origin “resembled a snowbank streaked by the prints of some flitting sparrow,” and mentions how Thoreau had collected his biological observations from 1852 on a receipt from the family’s pencil-making business. Fuller masterfully uses refined story-telling techniques, apt analogies and wonderfully sculpted sentences to evoke a full range of emotion. When reading how young Darwin, faced with the dilemma of carrying three rare beetles with only two hands, puts one in his mouth, I couldn’t stop smiling; and when Sanborn, after all his friends had died, is described as “the self-appointed caretaker of the past, a solitary groundskeeper in the transcendental graveyard,” the sad and beautiful image stayed with me for hours after closing the book. While most scientific and philosophical concepts are explained well, there are some instances where more clarity would have been appreciated. A non-expert reader might need an earlier explanation of “transcendentalism,” a defining philosophy for Fuller’s main characters, or a clear definition of the biological terms “species” and “race.” At other points, this well-researched book becomes a bit vague: When Fuller claims that one of Louisa May Alcott’s stories was “surely” influenced by Darwin and that she was “probably” familiar with the scientific debate, one cannot help but wonder whether Fuller’s love for literature caused him to try and sneak a great writer into the wrong story. Fuller calls The Book that Changed America a “biography of the single most important idea of the nineteenth century.” The slightly inflated title conceals the book’s more modest, but nonetheless considerable achievement: describing the idea’s turbulent infancy in a young but ambitious nation (most of the described events take place within one year). According to Fuller, Darwin’s Origin would “crash and rumble in expanding circles throughout the nation” to “remake society,” but The Book that Changed America only seems to talk about the first, smallest of these circles. Until the last pages, I found myself waiting for the “epochal changes” the foreword had promised – a slight but noticeable disappointment with an otherwise marvelous book. Darwin’s early readers struggled to adapt their cherished beliefs to new facts for almost the same reasons that repel today’s critics: once you embrace random variation and natural selection as the guiding principles of nature, the need for a creator, carefully designing and adjusting every aspect of the world, vanishes. By dissecting this struggle, and how it was partly overcome, Fuller’s book may help bring America and the theory of evolution closer together. At least, it demonstrates to me that the repulsion of the two is not a fact of Nature, but might, with time, evolve into something different. Angelika Manhart is an Austrian biomathematician working at New York University with a great interest in understanding American society.